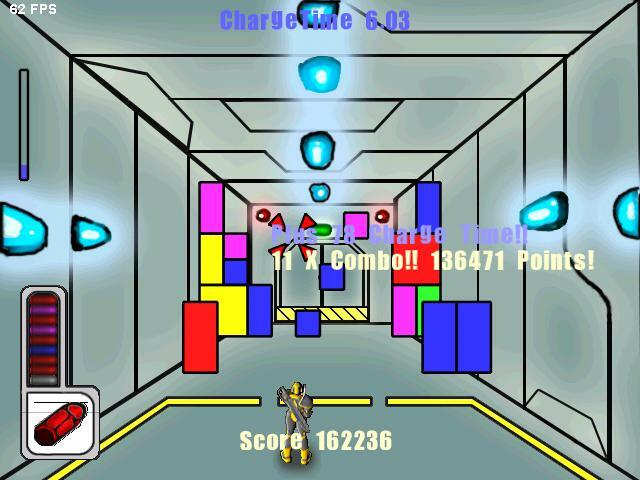 Barricade was a 2D game that I developed in 2004 (when I was still at highschool!) for a upcoming game company called “phyersoft”… which never really established to anything. Nevertheless the whole experiance was fun and I learnt a lot about project development etc. I was not the designer of the core gameplay – the Phyersoft founder, Mike, designed the gameplay. 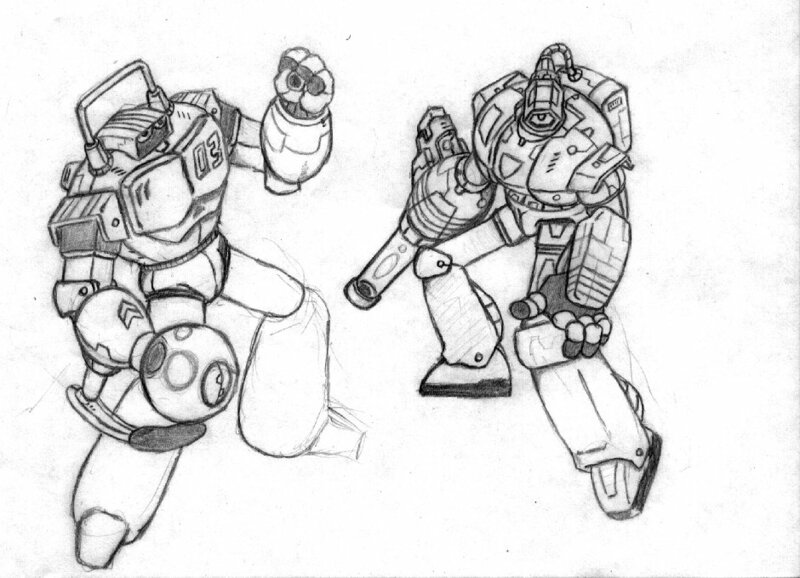 Below are some concepts he drew. 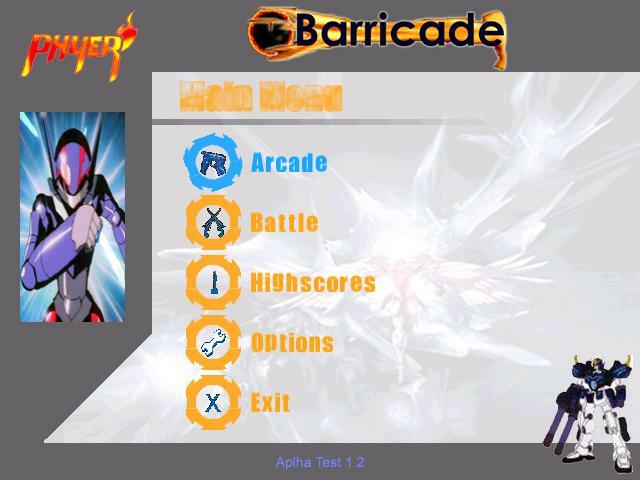 The final version of barricade was in alpha and all the graphics were freebies from the Internet that frankly, looks terrible! Also the game is not at all finished / balanced! 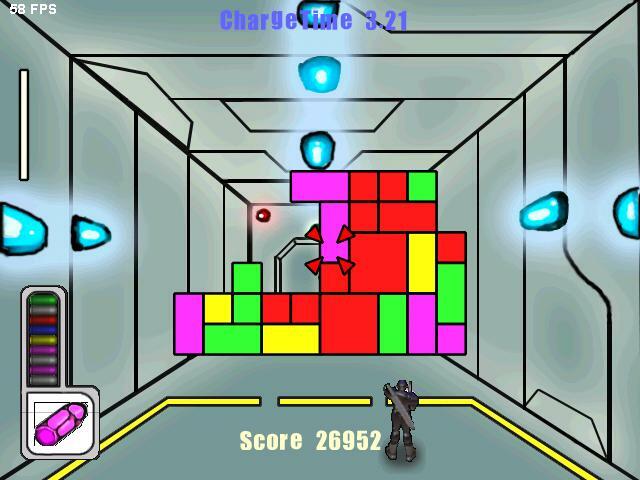 Barricade’s gameplay is a block-buster type puzzle game. The first versions used Direct Draw but I wanted alpha effects and Direct Draw did not support hardware alpha effects (software renders killed performance). This it used OpenGL … the engine was written from scratch. Of coarse the smart thing would have been to use existing engines but being a stubborn young gun I wanted to develop my own. It was written in C++ but is Window OS dependant. I have binaries (Setups) and source which I will make available when I get round to it. I’m sure everyones just itching to play this amazing game lol. I have been using it as a reference! Hope you don’t mind. Anyway, I think its pretty cool stuff, even if it never really got off the ground. I wish we did game programming at school – my scholarship report is on a search and rescue robot instead. Thanks for your help – even if you didn’t realise you were giving it, your report has been really useful to me.